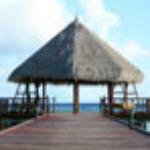 I am looking for an ocean view place to stay with 2 bedrooms . Would you have anything like that? We are planning on coming to Campbell river for the winter. (possibly 4 months) can you let me know if you have anything available and it you have winter rates. We are retired and very clean! Thank you for your time I will be sitting here with my fingers crossed until I hear from you. Thank you for your recent question. Unfortunately, due to our retreat schedule we would not have anything available for that length of time. Get an answer from Ocean Resort staff and past guests.